It's been an exciting year at IronPT and we feel incredibly blessed to have connected with so many people in our clinic, community and online. As entrepreneurs, we usually go full speed ahead but the end of the year is the perfect time to pause and reflect on how far we've come. We saw our practice double in size for the 2nd year in a row! 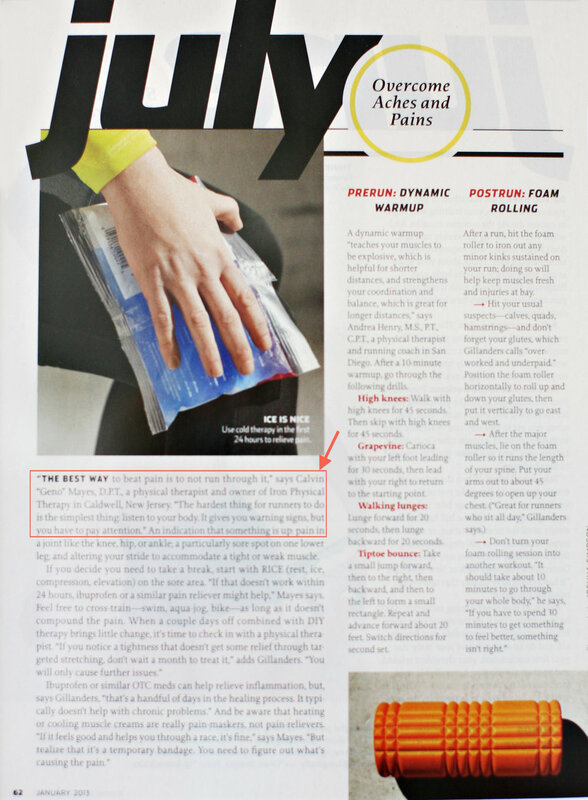 We were quoted twice in Runner's World Magazine and recognized locally as one of the "Best PT Clinics" in Essex County. We added yoga classes to keep our community in tip top shape. Only one spot left in our 6-week series starting Jan. 7! We continued to support CWC Soccer and all things Chiefs! How I Lost 40 pounds and Got in the Best Shape of My Life! Most importantly, we had the privilege to partner with our patients on their journey to get better and be better. They are what make this place and this work so special. Together we battled injury and setbacks and PAIN. We honor each person who walked through our doors and showed us what real courage and perseverance looks like. Stay tuned for another exciting year in 2014! Lots of great things on the horizon... you'll be the first to know.